Over 30 other states acknowledge the Utah Concealed Carry Permit. We are proud to be approved to provide the ability to obtain this valuable permit. The class is approximately five hours. Once completed, along with you Washington State Concealed Pistol License you are able to legally carry in 35 States. You will also have completed the training requirement to apply for your Arizona, Oregon and Florida permits. Alabama, Alaska, Arizona, Arkansas, Delaware, Georgia, Idaho, Indiana, Iowa, Kansas, Kentucky, Louisiana, Maine, Michigan, Mississippi, Missouri, Montana, Nebraska, Nevada, North Carolina, North Dakota, Ohio, Oklahoma, South Dakota, Tennessee, Texas, Utah, Vermont, Virginia, Washington, West Virginia, Wisconsin, and Wyoming. 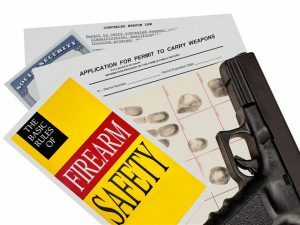 By obtaining you Arizona permit you are also allowed to carry in New Mexico. *This course does not require live fire exercise! $200 Per Student at the door.